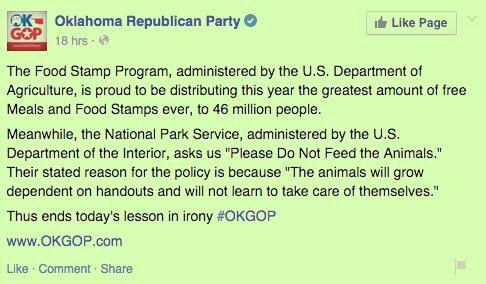 “The Food Stamp Program, administered by the U.S. department of Agriculture, is proud to be distributing this year the greatest amount of free Meals and Food stamps ever, to over 46 million people. TOM THE DANCING BUG: In Which Lucky Ducky and the Houndsville 99% Declare Class Warfare! !